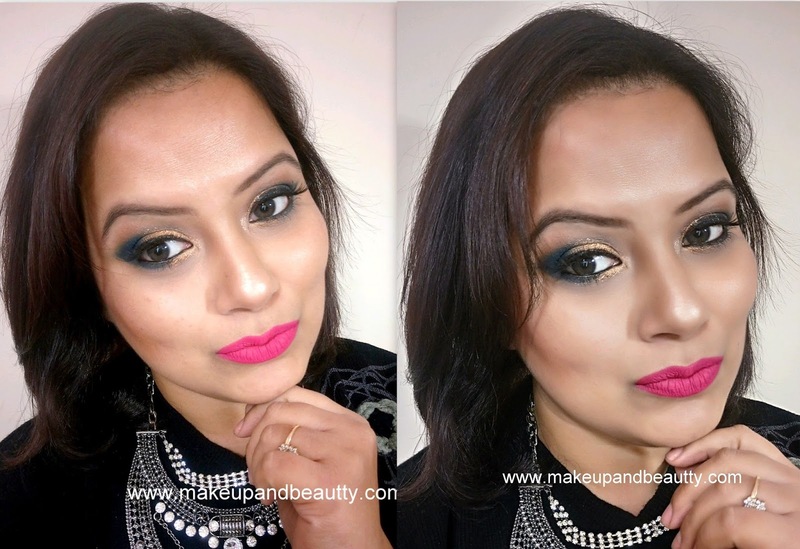 After a pretty long time today I am here to review some hair and skin care products. 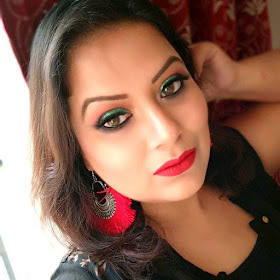 Yes, today I am going to talk about one such brand who is coming up slowly with some awesome products from the heart of KERALA named as Shesha Beauty. Shesha Beauty is the brainchild of an ex-Amazon India Software Engineer turned women Entrepreneur, Renji who dearly missed authentic natural & Ayurveda products from her state - the God’s own country, Kerala. Hailing from a family of naturopaths to doctors and having used effective, ayurvedic, herbal and natural products all through her life, Renji can easily call out the original and the fake. Her vision to bring such natural abundance from Kerala within the reach of the urban world resulted in her brand - Shesha Beauty and subsequently Shesha Naturals. All products listed in Shesha Beauty and under the brand 'Shesha Naturals’ go through rigorous testing not only in the labs but personally by the founder herself on her and her family - to ensure only the best and safest products reach the consumers. All of the beauty products that you find on Shesha Beauty is 100% natural, 100% cruelty-free and free from parabens, silicones, petroleum, derivatives, artificial color and artificial fragrances. ‘Strictly Natural’ - is a promise of purity and elegance that our brand carries high on its shoulder and prides itself on being an ethical and responsible beauty company. So here are the few products that I picked up from this brand. Ashtapathy Deva Thali Soap (Price:- Rs.70/- for 100gm): “Leaf Soap that can be used on hair and skin”. This is a refreshing herbal soap with the nourishing goodness of betel leaves.Other than effectively removing impurities from hair, it maintains and balances hair moisture.Also, a natural cleanser that removes dandruff and treats split ends and makes hair shiny and healthy.The Leaf soap looks after skin too. Moisturizing, whilst keeping skin smooth and clear. 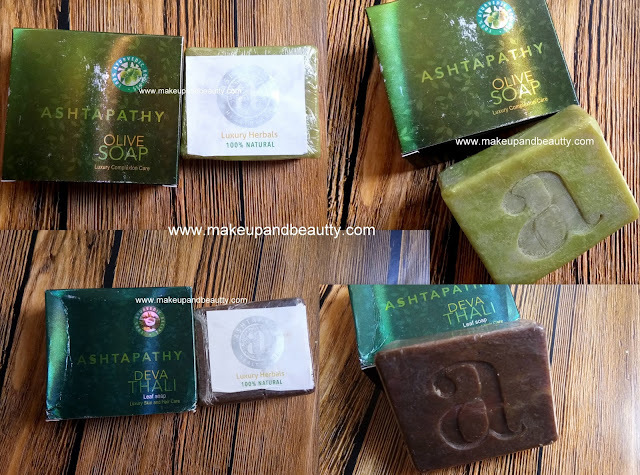 Ashtapathy Olive Soap (Price:- Rs.70/- for 100gm): “For glowing skin and improved skin texture”. Olive Oil, the beauty secret of beautiful women across the globe.It is one of the most natural ways to rejuvenate skin health.The soap is enriched with Olive and Coconut milk for smooth skin.Removing dryness, it keeps the skin radiant throughout the day. Ashtapathy Mud Soap (Price:- Rs.70/- for 100gm): For centuries, ‘Multani Mitti’ or ‘Fullers Earth’, has been trusted for skin care.’Multani Mitti’ is a natural cleansing agent absorbs and removes toxins from the body.This Mud Soap tackles excess oil, acne, blocked pores, and hyperpigmentation.Resulting in brighter and more glowing skin. Ashtapathy Deva Thali Shampoo (Price:- Rs.125/- for 100gm). Ashtapathy Mud Shampoo (Price:- Rs.125/- for 100gm). SHESHA NATURALS COLD PROCESSED EXTRA VIRGIN COCONUT OIL(reviewed here). or you can find these products on Nykaa, Amazon and First Cry. All the soaps have very mild fragrance in it which lasts only a few minutes after a bath. Now, don't get me wrong or think that it is a down point of these soaps because as these are chemical free soaps so they don't have a strong fragrance. The soaps lathers really well. They don't make my skin dry. Even in this freezing winter, these soaps works wonder on my skin. It doesn't dry up my skin. I bought both Ashtapathy Deva Thali Shampoo and Ashtapathy Mud Shampoo for testing purpose. Mud shampoo is just perfect for oily hair beauties. The shampoo cleans all excess oil and dirt making hair great free. As I have dry scalp and dry hair during winter so this shampoo doesn't suit me now. But during summer when I mostly have oily scalp I think this will work well on my hair without making my hair dry on ends.So this one is not for me for now but people having oily hair throughout the year they can try out this shampoo. The Deva Thali shampoo is one of the best shampoo that I came across. A perfect shampoo for dry and dull hair. This shampoo makes my hair super soft and shiny and manageable. Both the shampoo don't lather up much so one might end up squeezing a lot. But you don't need to do that as these are sulfates and paraben free shampoos so they don't lather up much but they do the job of cleaning pretty well.Both the shampoo have a mild scent which doesn't bother with a sensitive nose. Overall I am just loving each and every product of Asthapathy because the shampoos are sulfates and paraben free, while soaps are strictly naturals. Moreover, all the products are undoubtedly very affordable one. 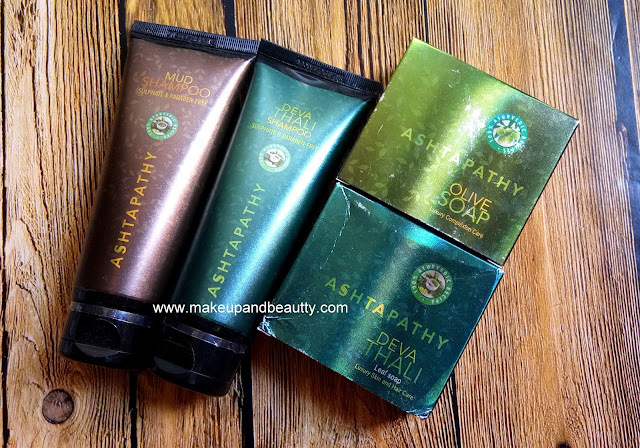 So, if you are looking something naturals for your hair and skin then definitely check out these products from ASTHAPATHY. P.S. As the shampoos are natural products so it might take time to show it's effect on chemically treated hair. I was using this shampoo from past two months after which it started to show its results on my hair. But again as these are hair care products so it might show different results on different people. I shared my personal experience with these products. Here is my hair after doing hot oil treatment followed by washing my hair with DEVA THALI SHAMPOO. So, that's all for today...Until next time.